1 || Bake a Heart-Shaped Pie. This heart-shaped mold is so cute! Try this blue berry pie recipe to fill it, or this strawberry rhubarb pie one. 3 || Set a Pretty Table. Make it a Galentine’s Day luncheon for your girlfriends or a special family dinner. Set a pretty table and make a special meal- something you don’t cook or eat everyday. There are plenty of easy recipes that feel extra special. I’m a huge fan of fish in papillote (love this recipe. I like to use Halibut) as it feels sophisticated while being super easy. Buy some pretty flowers and maybe use your special flatware and china. If not now when? This setting below takes my breath away! It is from Casa Perrin where you can rent or buy settings as beautiful as this! If I could, I would eat like this every night. 4 || Tag it. Get some pretty personalized tags (the ones below are from Ellis Hill) and add them to pretty much anything to make it special- think a small bottle of champagne, some store bought chocolates, a nail polish, a jar of sprinkles…even an apple! Any little treat will be immediately elevated by the pretty tag. 5 || Give Candy. There is nothing cuter than pink and red candy! And it does not have to be high-end candy to make someone smile. You can get one of these cute heart-shaped bowls and add some Valentine’s day M&M’s for a perfect treat. 6 || Make a Quick Valentine’s Day Snack. Short on time? This popcorn recipe is an easy and sweet treat. If you prefer a Chex Mix, this recipe seems delicious. Watch a movie and snack away! 7 || Give a Balloon Bouquet. 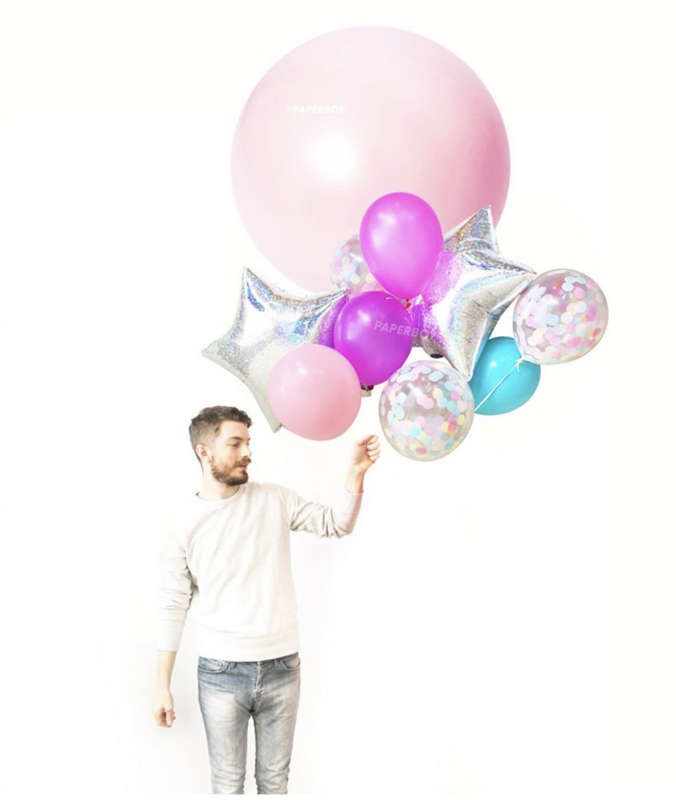 Order a set of various balloons online and fill them up with helium at your local supermarket for a unique gift. This shop on etsy has a ton of adorable balloon bouquets. 8 || Give Your Shared Memories. This is for the planners who think ahead and have time to make this happen. 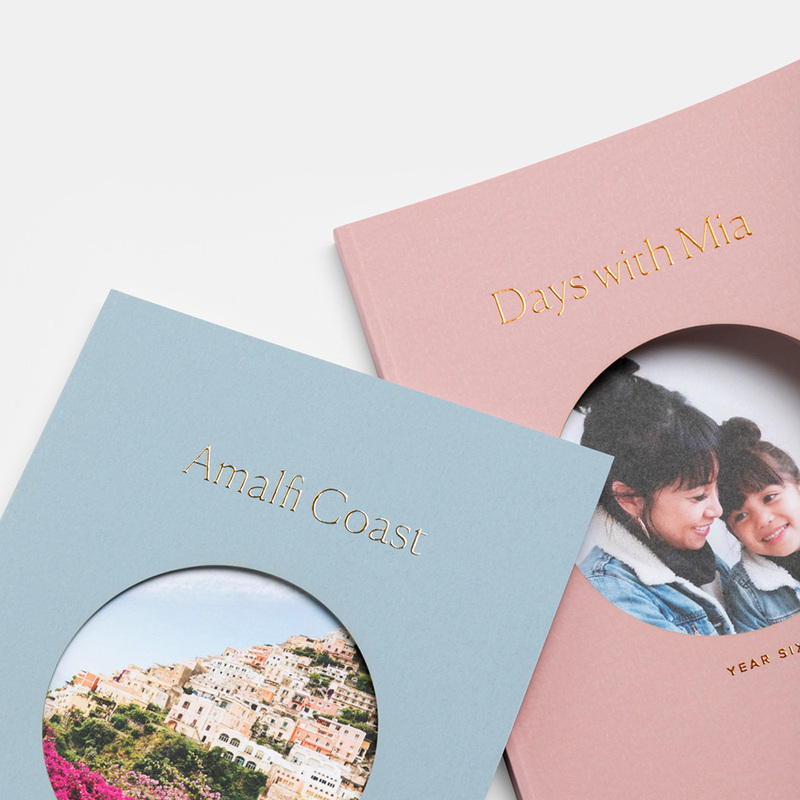 These adorable books with gold foil titles are perfect for a photo book gift. I hope at least one of these ideas inspired you to make Valentine’s stand out this year. In a world that is getting more and more complicated a little love goes a long way.